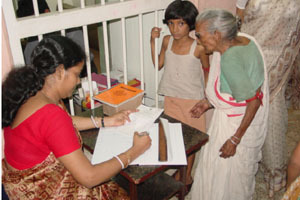 Under the first aim of basic medical treatment an Outpatient Clinic was started in 1991. 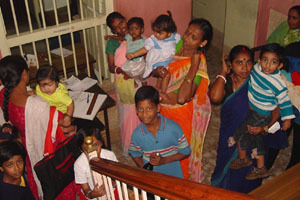 At this clinic, three types of medicine (Allopathic, Homoeopathy and Ayurvedic) are practised six days a week by registered physicians. 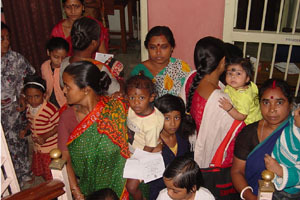 As it is a charitable organisation the treatment of the patients as well as supply of medicines are free of cost. To avoid unnecessary crowding there is a system of receiving only Rs. 10 as a token from each patient for treatment and medicine. This adds a tiny amount to the fund. The attending doctors get an honorarium for their services. 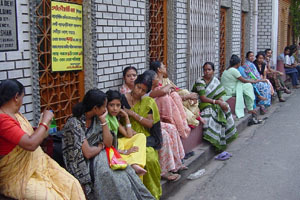 The Allopathic department runs for 2-4 hours per day, six days a week, including a separate division for dental check-up which is opened only for 2-4 hours one day in a week. 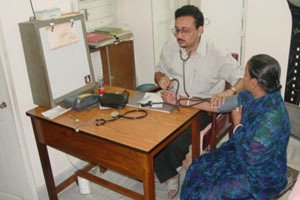 We have specialist doctors including orthopaedic doctors, ENT - surgeons and cardiologists in our clinic. 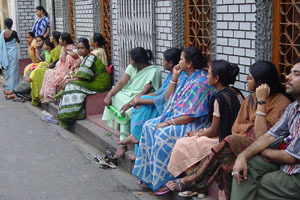 The Ayurvedic division remains open 2-4 hours per day, four days per week. 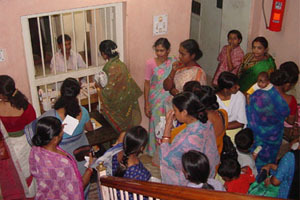 Homoeopathy attend the clinic for 2-4 hours each day, five days per week. Patients can choose from these three options of treatment. 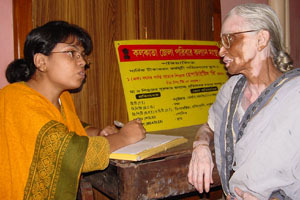 From April 2000 to March 2001 number of patients treated in the OPC was about 12,600 out of which about 6,500 were under Allopathy, 700 under Dental division, about 1,400 Ayurvedic and about 4,000 under Homoeopathy.